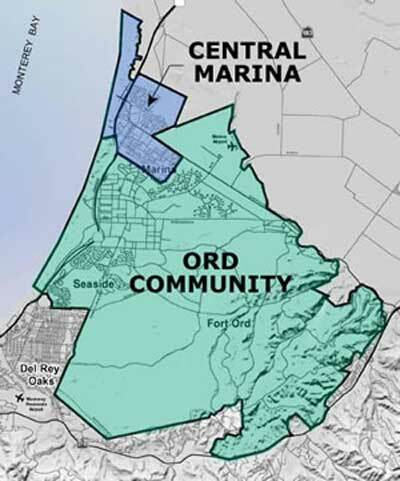 Marina Coast Water District (MCWD) is proposing to annex the entire Fort Ord area. The project would amend MCWD’s Sphere of Influence and expand its Service Area to include all of the former Fort Ord including lands within the jurisdiction of the U.S. Army. MCWD currently provides service to this area as outlined in the 1998 Water/Wastewater Facilities Agreement between FORA and MCWD which expires when FORA sunsets in 2014. The proposed project would allow water and wastewater service to continue beyond the FORA expiration and provide customers the right to vote for MCWD Board of Directors. The project applicant is Marina Coast Water District. The project would expand the Districts’ geography to include the entire Fort Ord area. The Marina Coast Water District is the lead agency. This project is governed by Water/Wastewater Facilities District. The Board continues to receive updates on this proposal, but no decision has been made yet. The comment period was in November and December 2011. The Negative Declaration (4M PDF file) was completed in 2011. The document fails to remain consistent with approved General Plans and asserts it is necessary to expand the boundaries of the district to accommodate future growth and yet at the same time that future development needs to find water elsewhere. The document does not adequately review impacts from future developments or the status of water supply projects. Without this information it is difficult to know what the impacts of this project will be. The California Environmental Quality Act requires review of direct and indirect impacts and this document does not do that. Therefore it should be recirculated. The letter below was submitted to Marina Coast Water District.